A celebration of the finest flavours in cuisine awaits visitors at the eight food and beverage outlets operating within The Address, Downtown Burj Dubai, the latest addition to the five-star hotel offerings in Dubai. Located at the heart of Downtown Burj Dubai, The Address, Downtown Burj Dubai is the flagship hotel by Emaar Hospitality Group, the hospitality and leisure subsidiary of Emaar Properties. The Address, Downtown Burj Dubai is a contemporary hotel that meets the diverse requirements of the business and leisure traveller while offering new and eclectic food and beverage preferences for the city’s cosmopolitan population. The hotel’s food and beverage outlets open to impressive views of Burj Dubai – the world’s tallest building – apart from the myriad of other architecturally elegant projects in the 500 acre mega-project development. The restaurants and lounges are situated at various levels of the 63-storey hotel, the second tallest building in Downtown Burj Dubai. The hotel’s signature restaurant is Hukama, offering an array of authentic Chinese cuisine on the 6th floor. The lobby includes three outlets, Risala, Calabar and Fazaris, while Neos, the sophisticated sky lounge on the 63rd floor, is billed to become one of the preferred places for elite socialites. Casual dining, festive occasions, or smart and sophisticated soirees can all be catered for in the variety of outlets at The Address. 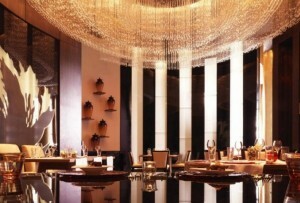 For an upbeat and sophisticated evening, Hukama restaurant serves traditional provincial cuisines from China while also creating a unique interpretation of fusion and contemporary Chinese cuisine. 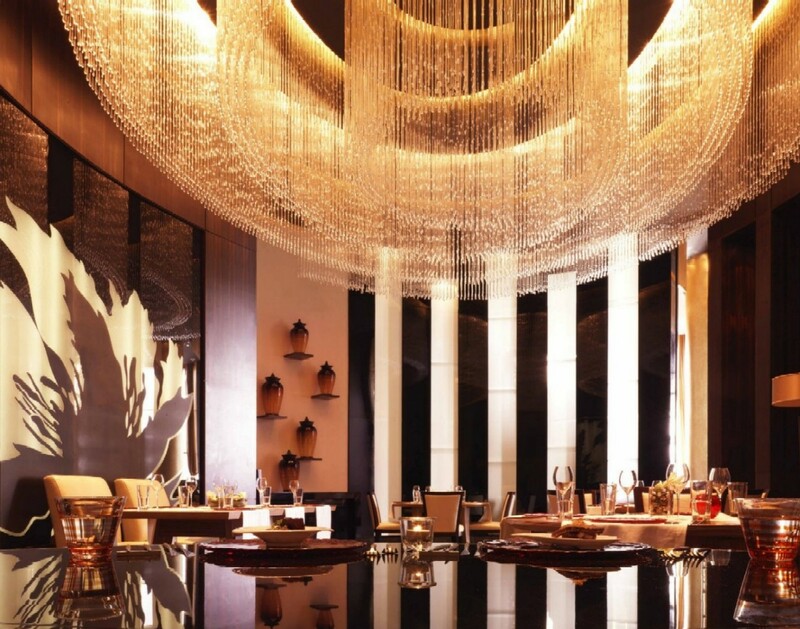 An adventure for the palate, Hukama promises exceptional cuisine in an upbeat and chic setting with Chinese associates adding to its authenticity. Neos, the exclusive 63rd floor lounge, is an ideal venue for impressing guests, with a contemporary interior to complement the spectacular scenery of Dubai’s skyline. Its charismatic art-deco design features make it the perfect complement to the spectacular backdrop to the city below making it a unique venue for a relaxing and diversified experience. With a contemporary feel and an elegant retro influence, the striking Neos lounge portrays a sense of relaxation and sophisticated lifestyle. For Dubai’s young and fashionable, the vibrant and colourful Calabar lounge is a hip and trendy place to be seen. An ideal venue for after work-beverages, the Latin-inspired lounge serves an array of nibble platters of Latino, Japanese, Arabic and Asian bite-size treats. The associates are Brazilian and the modern lounge music along with the pronounced Latin influences assure a distinctive, fun experience. As the sun sets behind Burj Dubai, Calabar’s idyllic sundowner terrace comes alive with an energetic buzz surrounded with impressive walk ways and greenery. Fazaris is a restaurant with a difference. A cosmopolitan blend of Japanese, Asian, Indian, Arabic and Mediterranean cuisines prepared at live cooking stations is set to place the restaurant among Dubai’s highly regarded choices for any meal. Guests can enjoy a diverse and enticing meal in the main dining area; a semi-private section; a lounge area or on the outdoor terrace, with the modern and colourful features making for an unforgettable dining experience. Among the exciting food and beverage outlets at The Address, Downtown Burj Dubai are Zeta and Bajjah, two venues where to enjoy al fresco dining, Bajjah’s outdoor terrace, located on the 14th floor is an intimate environment, perfect for socializing during the cooler climes. Zeta is a contemporary pool outlet complemented by the stepped pool and exceptional views. An international menu is served on the sun loungers or in the relaxing, custom-designed terrace. Risala, the hotel’s lobby lounge, is the vibrant heart of the hotel. Its ambient design strikes a chord of contemporary chic and has a unique energy pulsating through it. An a la carte menu is available and Afternoon Tea is also on offer. XPresso, is a vibrant coffee shop on the water’s edge serving premium, convenient refreshments with a choice of indoor and outdoor seating. Xpresso is a friendly place to meet, over a well-brewed coffee while watching the world go by along the promenade. The Address Hotels + Resorts will open two further hotels in Dubai: The Address, Dubai Mall; and The Address, Dubai Marina by the 1st quarter of 2009. Emaar Hospitality Group LLC, the wholly owned subsidiary of Dubai-based global property developer Emaar Properties PJSC, manages the company’s growing roster of hospitality and leisure projects. Emaar has expanded into hospitality and leisure in line with its Vision 2010 to become one of the most valuable companies in the world through a two-pronged approach of geographic expansion and business segmentation. With a total portfolio of hospitality assets valued at US$1billion (AED 3.67 billion), as of March 2008, Emaar Hospitality owns and manages a diversified portfolio of hospitality assets such as hotels, serviced residences, golf resorts, Dubai Polo and Equestrian Club, recreation clubs, the Dubai Marina and associated yacht club.